De Dollar Man can bag the big money with a victory in the first race live on ITV, and the first at Ascot - the My Pension Expert Handicap Chase. He made a pleasing seasonal debut last month at Newbury, and Saturday's slower ground will suit. Very lightly raced as a 7yo chestnut, is respected here, and holds strong claims for a trainer in solid form. 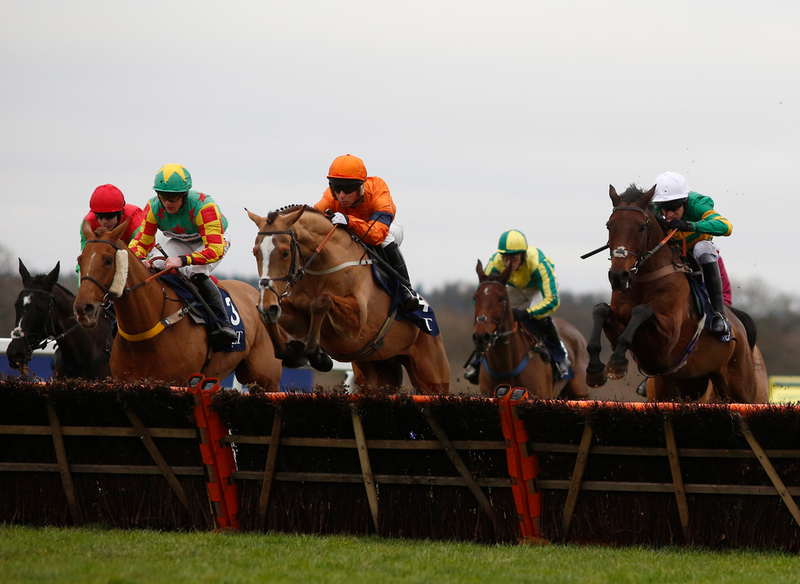 Ballymoy needs to point a line through his recent Newbury effort to be considered a true contender for 50 Risk Free On Racing With Smarkets Handicap Hurdle, which is also the first race live on ITV from Haydock. The feature race of the day is undoubtedly the Grade 1 JLT Hurdle - registered As The Long Walk Hurdle to you and I, and Unowhatimeanharry can continue to fly the flag for the oldies. He returned to form in a similar contest last time out at Newbury in a Grade Two on soft, which surely stands him in good stead here. Harry won this back in 2016, and despite always being the first off the bridle, is surely in with some sort of claim. Donald McCain could be at the double at Haydock in their second and final race on ITV, only if Testify can make use of his excellent course form. Jammin Masters can take the Listed Garrard Silver Cup Handicap Chase for Warren Greatrex and Gavin Sheehan. Second to a progressive novice at Carlisle last time, and has easier conditions in his favour here. Yet to really prove his promise he showed at Chepstow at the beginning of the year in a maiden, but a chance to do that here. Will sure to be involved. The well-named Lisp can take the finale at Ascot, and the final race on ITV before Christmas - the Betfair Exchange Trophy, which is a Grade 3 handicap hurdle, for the duo of Alan King and Wayne Hutchinson. Up another 3lbs for his good effort behind Global Citizen at Newbury latest, but he's a lightly raced youngster who should have more to give. Solid each way chance if not more.